The idea of creating our “Donkey” arose almost by accident. Once the chefs gave us a written off motorcycle To the 125 without wheels. Original spare wheels we had, we decided on the first case to fit available handy motorolleri — with hubs and discs from the T-200. “Donkey” as immediately dubbed the new bike, liked by everyone who went on it. 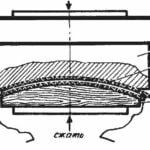 He was more resistant than the usual model K-125, due to the significant lowering of the centre of gravity (see Fig.) The acceleration and maximum speed remained the same; the landing, in our view, more convenient. Much easier replacement and repair of wheels (to mount a standard motorcycle tyre a lot harder and longer). A slight decrease in permeability (by decreasing clearance) for significant did not matter, because all the practical classes in the school motorwerke pass on the pavement. “Donkey” has proven itself in long-term operation; he participated in two big caravans on the route Moscow — Odessa and Moscow — Baltic States. In both distances, we changed drivers to get more reviews about our car. Taking into account them. we have developed a number of improvements. Thus, in particular, were set side-arc security connected with running boards; mud guards and racks for two 20 litre Jerry cans or other goods that have the same dimensions. 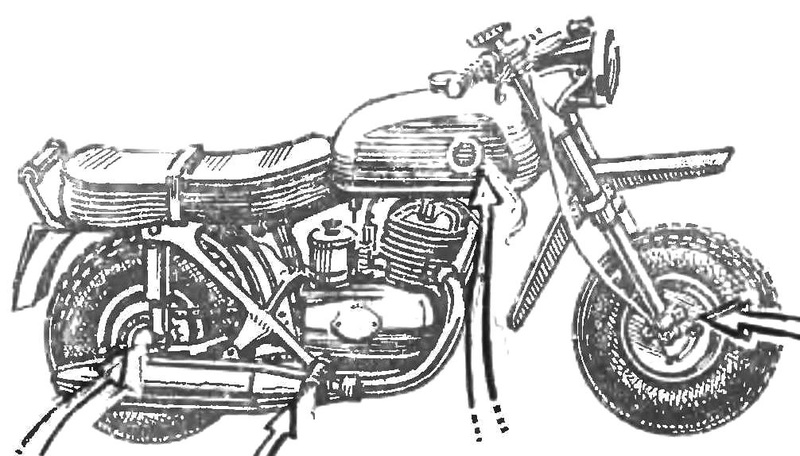 The design of the “Donkey” in sufficient detail to show attached to the article drawings. We believe that this is not the only option. 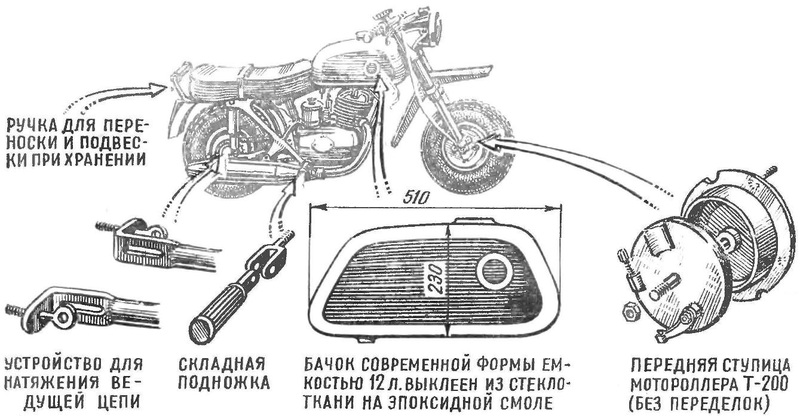 Perhaps there is a sense on the same frame to try the engine of the motorcycle Voskhod: get road-a travel machine that could carry two passengers.